Roseau, Dominica – June 20th, 2018 – Flow Dominica is preparing to make major improvements to the customer mobile experience in Dominica with the launch of 4G LTE in market in July. 4GLTE is an advanced mobile technology which gives customers superfast upload and download data speeds. In an effort to prepare customers for this new mobile innovation, the company is getting consumers 4G LTE ready with the availability of the compatible handsets and Sim Cards to facilitate seamless connectivity once the product is officially launched. In this regard, Flow Dominica has launched an initiative to encourage customers to transition to the new technology. The company has partnered with HHV Whitchurch & Co. Ltd, agents for Carib Beer to reward customers for upgrading their Sim cards to the new 4G LTE network. Over 200 customers will win tickets to attend Carib Beer Hype on June 30th at the Newtown Savannah. Flow mobile customers who upgrade to a 4G LTE Sim card until June 30th qualify to win tickets to Carib Beer Hype 246. Those who activate an XL Combo Plan with 1.5 GB of data, 1000 anywhere local minutes & texts are also eligible to win a ticket to the show dubbed as one of the biggest summer events. 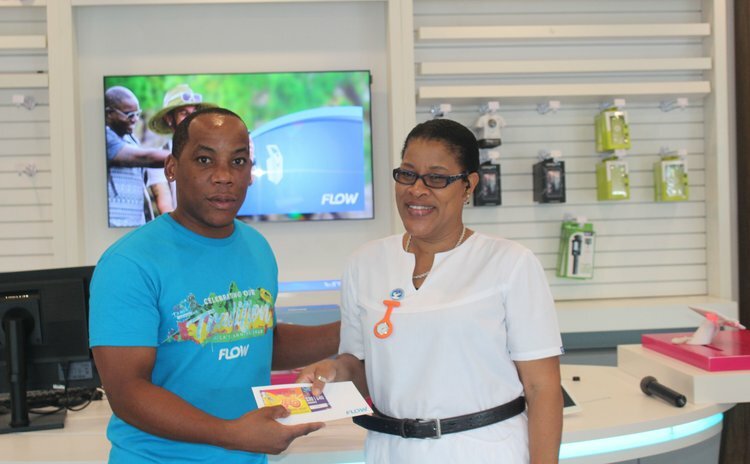 These customers will also be among the first to enjoy this new advanced technology from Dominica's premier telecommunications provider, Flow. Upgrading to 4G LTE gives you the experience of enjoying data speeds five times faster than usual! This in turn means that downloading, streaming music and movies online becomes much easier and faster as 4G LTE provides quicker data speeds. Flow's Commercial Manager Lorraine Mitchell says customers should grab this opportunity to benefit from the launch of this new product. "This is a win-win opportunity for our customers. Not only will they be among the first to enjoy this new mobile experience, but we are also rewarding them with the chance to win tickets to the Carib Beer Hype show". Miss Mitchell is encouraging customers to visit the main Flow store to upgrade their Sim cards and handsets to be LTE ready. Winners to date include Sabrya Henderson, Enaline Matthew, Judith Sylvester, Hilear Tinard, Alitha Teckla-Dumas, Cristin John, Erickson Philogene, Crispin Sorhaindo, Ceasar Emmanuel, Athlyn Nesty, Kurnel Simon, Asha Francois, Lilia Durand, Wilbert Standford and Francilia Magloire. Over 50 winners will be rewarded this week during the company's weekly outside broadcast event at the main store.